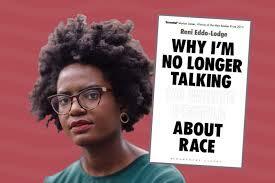 Reni Eddo-Lodge is a brilliant Black author, whose book Why I am No Longer Talking to White People About Race, has become an international sensation. I was extremely honoured to have been asked to be interviewed for her podcast series, About Race, about my thoughts on the ‘crises of multiculturalism’, based on the book I co-wrote with Gavan TYitley in 2011. You can listen to the interview below, and also check out the rest of the podcastr which inclides some really fascinating conversations with some of the major names in Black British thought and activism.